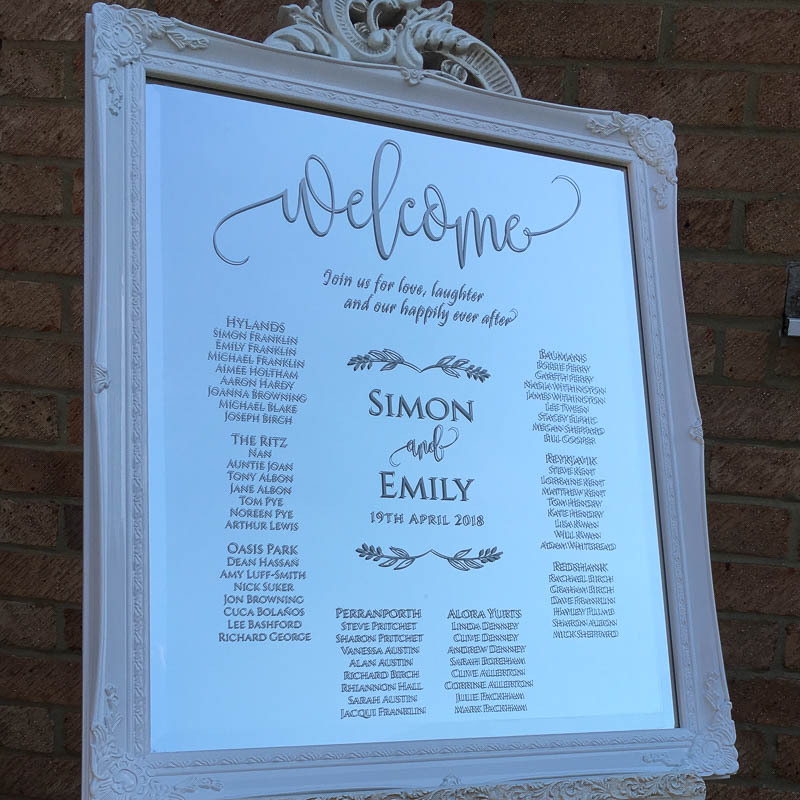 Our beautiful wedding mirror table plans are available to hire in Essex and surrounding areas. 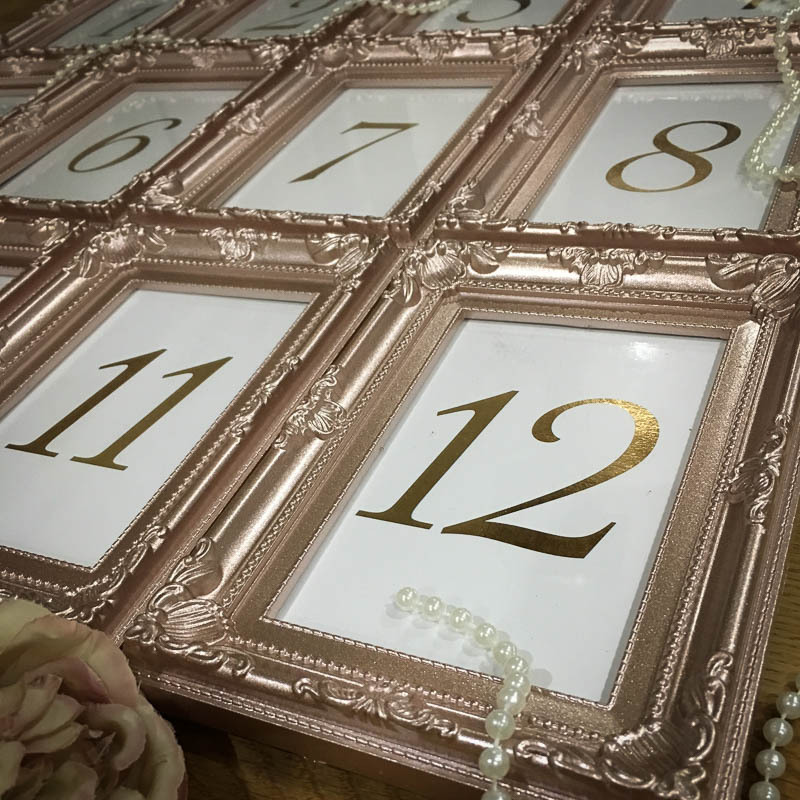 We hire out the mirror table plans which includes design and print your personal table plan onto it. 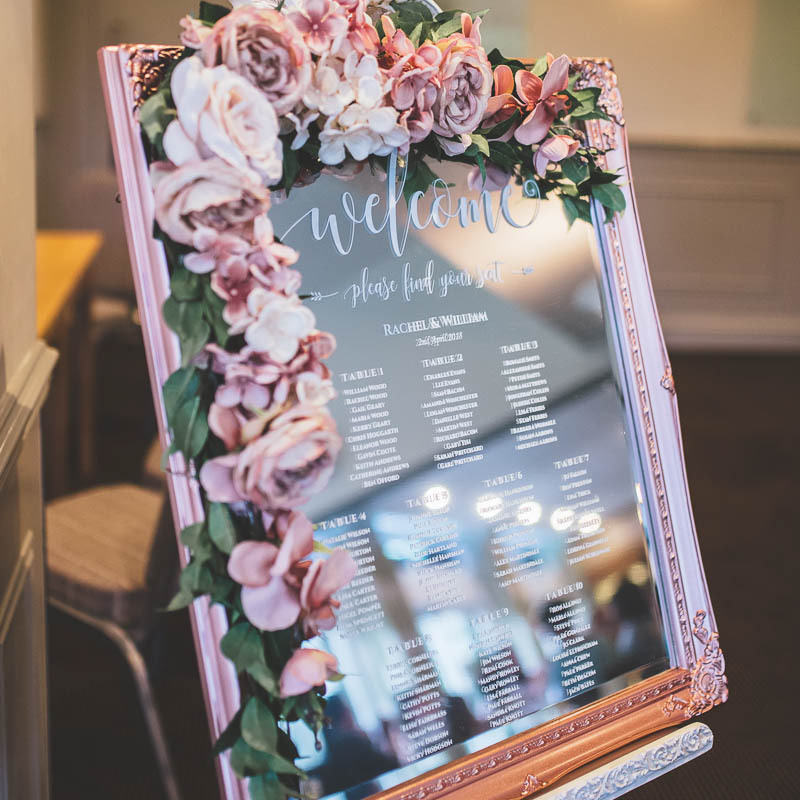 Simply send us your table and guest names and we will design, print and deliver for you! 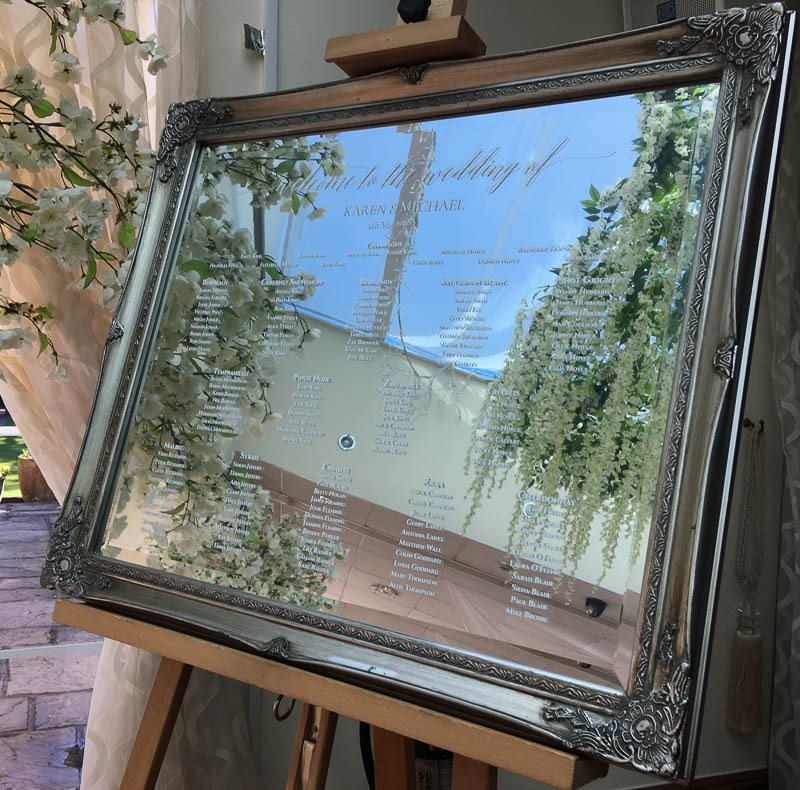 Our wedding mirror table plans are available in gold, antique silver, rose gold and white, with the option of a matching silk flower garland available. 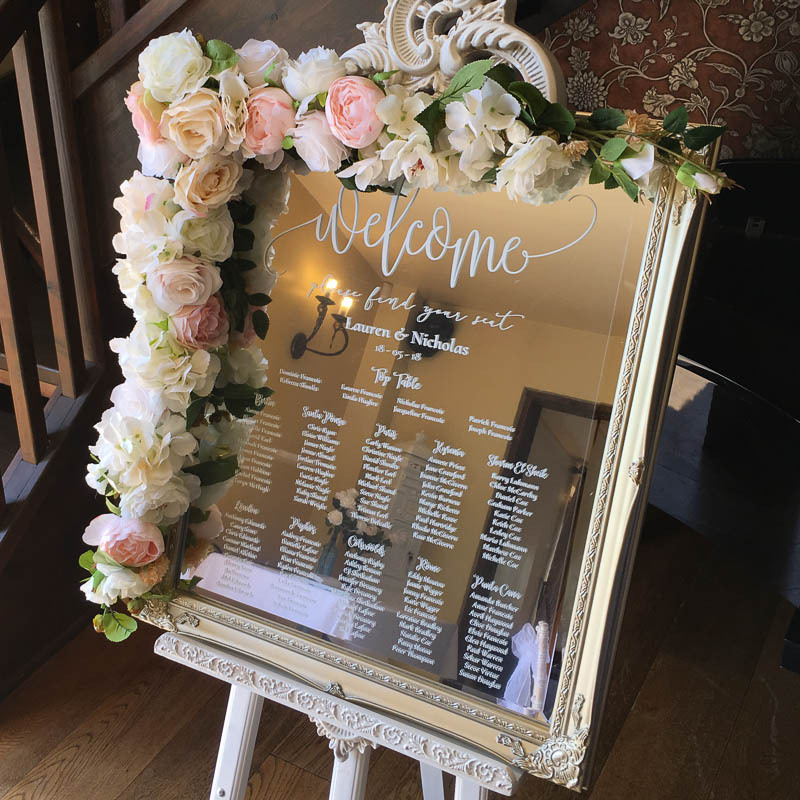 Combine with the hire of our vintage white easel to make a stunning feature that will wow your guests when finding their table! 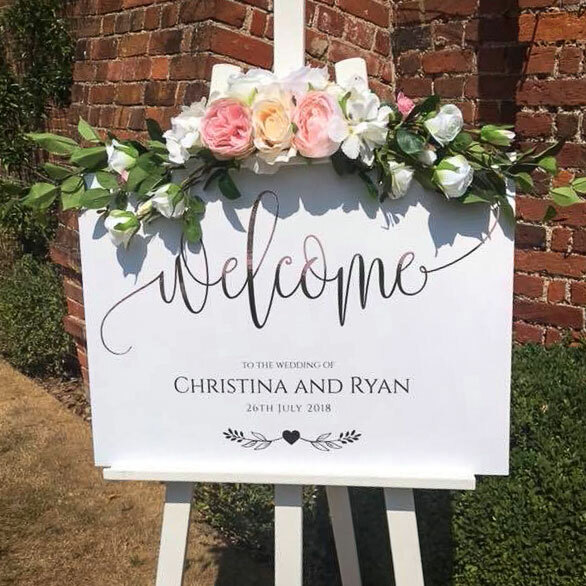 We can also create personalised mirror welcome signs, welcome boards and a range of matching table number frames. To find out more or book your date please get in touch.